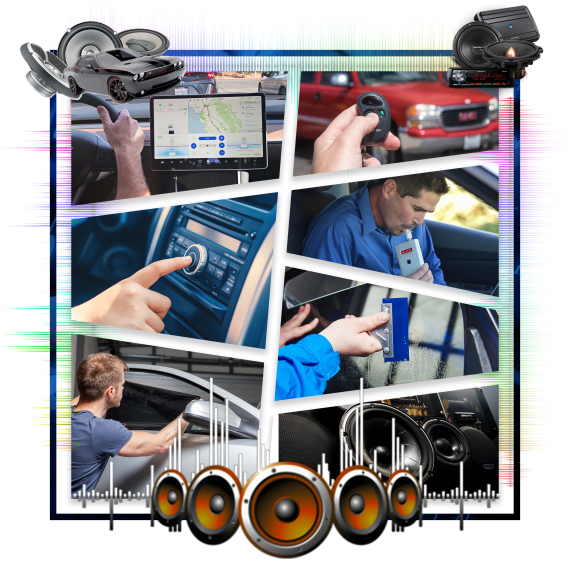 We, at the Katy Car Audio, have been providing customers with ground breaking and reliable mobile consumer electronics on the market. During our years running this business, we’ve excelled at offering our customers with superb products inside our industry like the Car Tints, latest in Car Audio Tracks, Exterior and Interior Designs, Radars and Security Systems. Having an automobile can be hugely useful as it’ll be your most significant help, drive you around the city. However, it becomes exceptionally intolerable through the hot summers when the automobile stands under sunlight for a couple of hours and becomes extremely hot to get inside. The glad tiding is that there is an extremely cheap option to help you avoid this from taking place, and this substitute is precisely what else but car window tints, offered by the Katy Car Audio. These tints are in so many ways the most practical method to keep your vehicle cool even though the temperatures go directly to the extremes! Our window tints for vehicles are incredibly helpful through the hot summer season as they may easily stop sunlight light from making its way to your car. Our car tints are the one-time purchase nonetheless they will always stick to your vehicle to keep you fresh. However the investment is little, their impact is enormous. The tint blocks unsafe Ultra violet rays, while also maintaining your car chiller and guarding your interior, as Ultra violet rays injuries and fades the inside of your automobile. With that said, it is imperative to have observed professionals install windowpane tint, and Katycaraudio is that professional business. We, at the Katy Car Audio, take every precaution and are incredibly comprehensive to ensure that the work surpasses our clients’ goals just according to their dreams. Among the premiere tinters, we only use the best quality of car tinting materials. We also perform tint installations for many prestigious dealerships. Only the best quality materials are installed at the Katy Car Audio. Our every film features a full warranty. So long as you own your vehicle, it’s covered. List of our additional services is shown below. Don’t hold back, and contact us to schedule a planned appointment. You’ll be happy you did. When you’re able to make your vehicle look better, and also have that safeguard for your interior, you don’t have to own your interior fade, or head into a sizzling car when it had sat out in sunlight when you were at the job or play. The Katy Car Audio is recognized as one of the very most educated, well-respected and expert installers in the tinting industry. The Katy Car Audio should be your number 1 destination if you are seeking to get your vehicle tinted. Possessed and run by the best & most professional tinting experts in the region, you can be confident that you’re heading to get top quality results. So, a bottom line, getting our Car Tint Services is incredibly highly recommended as they are incredibly cheap and intensely easy to carry out.